Major Projects Now Completed - MortgageeProperty.com Warns of Investment Cycle, Off the Plan Blunders. Where were the investment oracles during the market high of 2009 and 2010 when 100’s of investors purchased off-the-plan apartments? Buyers are now struggling to settle in the 2012 global financial crisis and real estate downturn. A question posed by hundreds of off the plan purchasers across the country now making their pre-settlement inspection of brand new property investments, organizing finance and furniture movers whilst property valuers are delivering property investment armageddon to their financiers. A trend is emerging with projects heavily marketed to unknowing Asian investors who in some cases, paid more than local prices. In the local market, pair this with the dramatic effect of falling property values in 2012 and over supply, bank valuations are now wiping up to 20% off the original off-the-plan contract price. “Traditional bank valuations are 5 to 7% below the contract price however, unofficially banks are adjusting their risk to a downward market," said Scott O. Talbot of http://www.MortgageeProperty.com. Some 2009 and 2010 off the plan purchasers are now faced with a potentially devastating reality. On top of the 10% deposit paid at the time of purchase, locked in by a contract, off the plan purchasers now have to top up the equity with an additional 20% to settle. With mortgagee insurers calling the shots, valuers are not permitted to use project sales older than 3 to 4 months as a comparable property value as the common belief is that developer sales do not represent the true market. Hypothetically, a typical off-the-plan investment cycle blunder: you purchased a brand new 2 bedroom apartment back in 2009 at the peak of the market for $700,000 (with speculative ambitions that the market value would rise), the bank has now valued the property in 2012 at a modest $595,000 representing a 15% reduction). You have a loan pre-approval for 80% based on this valuation ($476,000 bank loan). Therefor, in addition to the 10 percent $70,000 deposit, this off the plan investment requires the purchaser to cough up and additional $154,000 to settle. The Industry is cautious; buying off the plan in the wrong property cycle could have a deleterious effect for unknowing real estate investors. 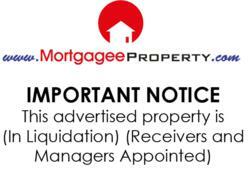 Rhodes, Sydney, AustraliaStatewide Developments Pty Ltd (In Liquidation) (Receivers and Managers Appointed) is the vendor of the above mentioned properties.